SJ Wolfe Racing stable star Red Ora has the week returned to training at our Albany operation. The 2018 Bunbury Stakes and Mungrup Stud Sprint winner, who was was spelled after competing in the Group 3 Belmont Sprint on June 2, thrived in the paddock and we're hoping for another successful campaign after earning $183,500 in stakes last prep. 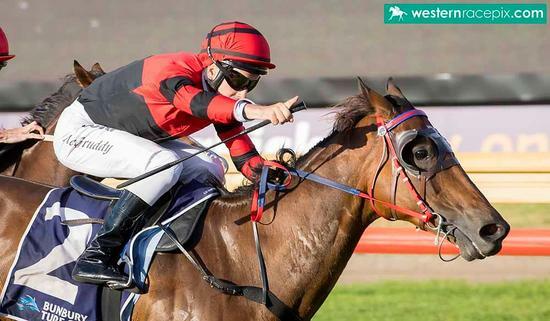 All going well, Red Ora will target feature races such as the listed $100,000 Carbine Club of WA Stakes (1400m) at Ascot on November 24 and the Group 3 $250,000 A.J. Scahill Stakes (1400m) at Ascot on December 15.